Squeegee Monkey Window Washing is a locally owned company that specializes in professional window cleaning and screen repair. 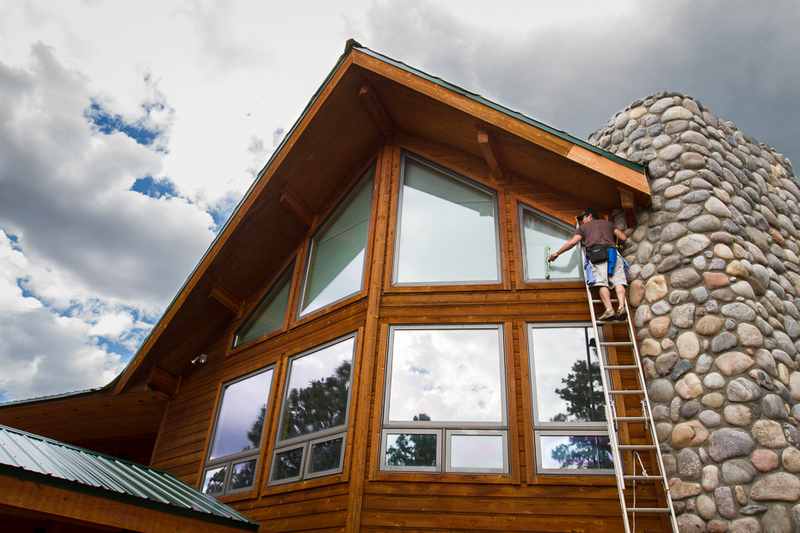 We provide a quick, friendly and affordable window cleaning service for residential and commercial customers in Durango and the surrounding Four Corners area. At Squeegee Monkey Window Washing the care and comfort of our customers is our highest mission. Our customer service experience team delivers unmatched quality and service providing a 100% satisfaction guarantee for everything we do. If you’re looking for the #1 customer service experience that only we offer, give us a call today! Casey and the guys at Squeegee Monkey blew us away! Professionals through and through. They know their craft inside and out. My wife and I had our house sprayed for flies and the formula left a nasty film on all the windows. Thanks to Squeegee Monkey, our windows have never looked so good. They go above and beyond what you’d except from a window washing company– vacuuming the sills, cleaning each screen, spot detailing, etc. Can’t recommend them enough! After arriving home during a very sudden and torrential rain and hail storm I rushed in to start cleaning up the flood of water the had poured in through my mom’s open windows. Squeege Monkey showed up for their scheduled appointment even though it was still pouring they waited the storm out by getting soaked as they brought in all of our groceries from the car! Talk about going above and beyond the call!! These guys have had our business for a few years and will continue to have our business. Great customer service and great window and screen cleaning! !